BANDAI NAMCO Games issued an exciting challenge at this years San Diego Comic-Con prompting players with the simple question, do you have what it takes to conquer the Rise of Incarnates and become the greatest fighter in the world? Rise of Incarnates is an exciting addition to the impressive arsenal of titles under the BANDAI NAMCO label, blending the appealing free-to-play nature of the MMO genre with action-packed combat usually only associated with AAA console titles. The developers have announced that the Rise of Incarnates closed beta event for Europe and Australasia will begin on August 8th at 9AM CET and continue through until August 18th at 9AM CET, a full 10 days to sample the closed beta and the exciting visceral ground based combat on offer in Rise of Incarnates. 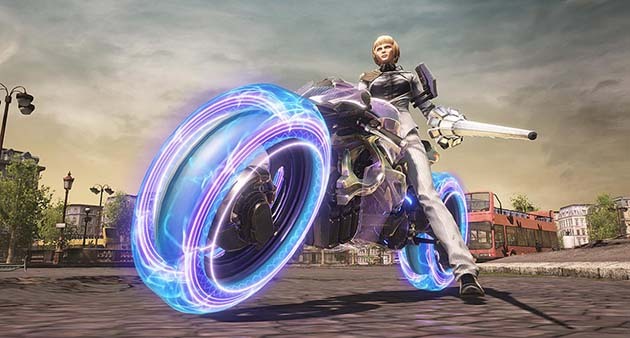 Several characters will be available in the beta including Lilith, Grim Reaper, Mephistopheles, Ares and Brynhildr, each able to take the battle on the road with varying locations on display including New York and Paris – both of which have been redesigned to offer unique environmental interaction options. Not sold on the idea? Check out this awesome Rise Of Incarnates trailer that showcases absolutely zero game play whatsoever. Additionally, for more information check out the official website.